I’m so pleased to be showing you Susan Beal’s latest book, Modern Log Cabin Quilting, and offering a sweet giveaway today. You can read why Susan loves log cabin quilting and view projects from the book made by others at the Flickr group. 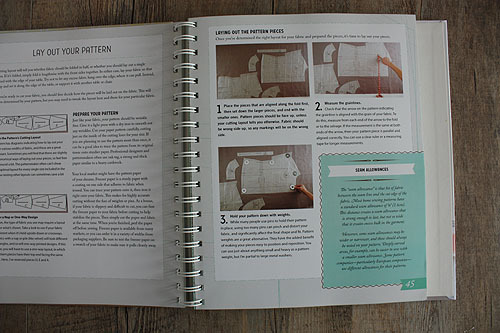 This book introduces you to log cabin quilts, gives you all the information you need to sew your own, including tools and techniques, and offers a range of projects. This is the Bright Furrows quilt, I like the cheerful colors. There are a whole range of quilts using both huge blocks and lots of small ones. There are a number of special quilt projects including a t-shirt quilt to save those worn out shirts that hold memories, an Anniversary quilt and the cozy Winter Woolens quilt. Above is the Northwest Modern quilt, I like how it’s random. There is also a whole section on household items like tea towls, aprons, pillow cases and a pincushion. This Charming Camera Case is easy (and uses some stealth velcro). 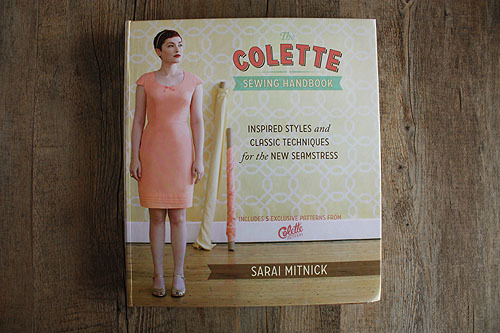 I’m thoroughly charmed by the quilts and projects in this book, they are fresh and inspiring. 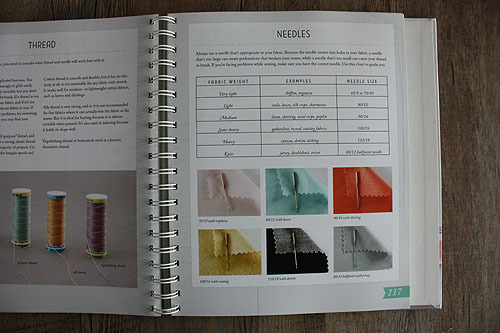 So I’m very happy to have both a copy of the book and a fabric kit to give away. If you’d like to enter please leave a comment with this post, and if you’d like please do take the time to share any quilting projects (or disasters) you’ve undertaken. I’ll go first: I’ve never quilted anything! Clearly I will have to change that very soon. You have until noon Pacific time on Thursday, April 7th to enter. The usual fine print applies. Good luck! The winner as chosen by the Random Number Generator is #45, Emily. Congrats! And thanks to everybody for entering! Modern Seamster is a new quarterly magazine that “fills the needs for a smarter, fresher, and more innovative sewing magazine” and brings together domestic sewing and fashion design. The first issue is available to download for free as a PDF. I’m enamored. The first issue is filled with familiar things from Seattle, an interview with the Seattle Craft Mafia and story about R.E. Load Baggage, and San Francisco, a tour of Britex Fabrics (including a picture of the only employee who was kind to me there, looking sharp as ever on the ladder). 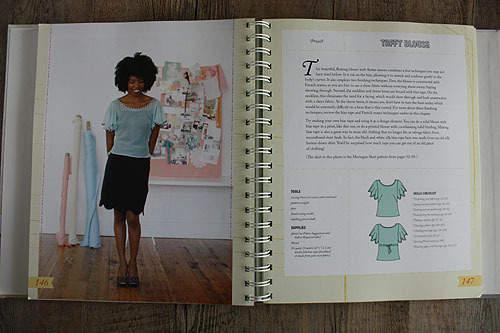 The magazine is well balanced with articles about high design, music culture, an advice column and sewing practice. So far it’s love. via Pink of Perfection. The kind people at Chronicle Books have offered two copies of Amy Butler’s Little Stitches for Little Ones. It’s a fantastic book, filled with clothing, toys and accessories for baby and for you. (There is a bag I’d like to make for myself.) 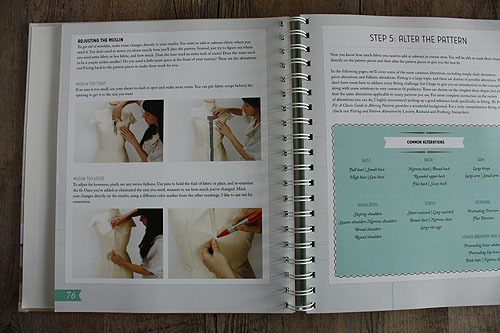 The book is very sturdy with a pocket to hold the patterns, clear illustrated instructions and a spiral binding so it will stay open on it’s own. Projects are marked on a scale of easy to difficult, but everything is equally charming. If you’d like a chance to win a copy of Amy Butler’s Little Stitches for Little Ones please leave a comment with this entry. The winners have been notified, thanks to everybody for entering! The usual fine print applies. I’ll let the Random Number Generator choose the winners at 12 noon PST on Monday, September 1st. Oops, I feel terrible about this, in my guest post over at Shelterrific on buying a sewing machine I completely forgot to include a link to a site called Zipzaggers where people send in reviews the older machines they have. She recently started a parallel site for new machines as well, New Zigzaggers. Krista wrote to let me know about this site a while ago and I’ve been meaning to find a reason to talk about it, I’m so sorry it slipped my mind. My thanks to Shelterrific and the commenter who called me on this one. If you own a sewing machine, Zigzaggers would love to know what you think about it. The first question of the interview is “Love it, hate it, or something in between?”, and I find knowing that somebody doesn’t neccessarily love it is very helpful indeed. I have a guest post over at Shelterrific today on buying a sewing machine. This is always a question I dread, I know just enough to give a bit of advice but not enough to feel like I’m not potentially steering somebody towards spending a lot of money on something they don’t like, or worse, won’t use very often. So, here’s to hoping it helps a little. Congratulations to Alicia! She (and we) finally get to see the cover of her book! 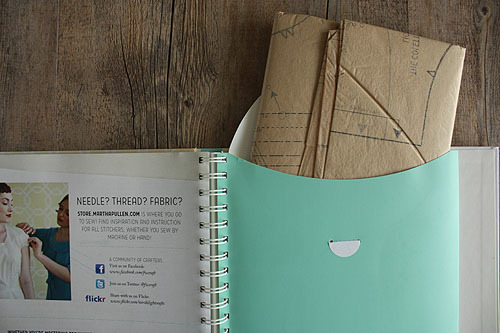 Spoonflower, in beta, allows you to upload your designs and have them printed on fabric. This is very, very exciting. You can sign up to get an invitation. Via Readymade. cardiganizing the raglan pullover at Flint Knits. This is for the Wicked sweater from Zephyr Style. I think I want to make one of these. looking for a good scarf pattern at Ask Metafilter. I think that if you choose the yarn carefully the one drop scarf that is suggested in that thread is fabulous. the Lars hat at Streets and YOs. As she mentions, I wish the Panda yarn didn’t look worn so quickly. Candy Blog Photo Studio, nice set up you got there! How to Knit in the Woods coming soon, oh! I know a knitter who is on the Appalacian Trail right now. The Lauren Jacket from Weaverknits. I already bought this pattern, love it. Mannequin Madness, from now until May 25th, is offering 20% off any of their products to Project RunGay readers. The Knitting School has launched. It’s here in Seattle and offers a bunch of machine knitting classes. Little known fact: I have a Brother Chunky machine with ribber and a bunch of accessories. Will properly sized TECRE button/mirror parts work on a Badge-a-Minit hand press? at Ask Metafilter. Turns out: no. Reminder to self: PBS is showing The Complete Jane Austen starting January 13th, lots of good knitting television. How to make stickers at Etsy Labs. Pretty, Ex Libris made firefly jars. Incredible amount of information from Angry Chicken on making toys for your children, or yourself, and where to find safe toys. Cool, an Ikea turntable ironing board. New kind of faux leather from Joseph Noble, oh please let this hit fabric stores somehow. Via AT:NY. Zakka Zakka is a new online shop offering Japanese fabrics by the fat quarter. Also check out the little tins of herb starters. How to sew a collapsible bucket. No-sew jersey scarf tutorial, I love American Apparel jersey scarves, but the fabric they use to make them isn’t quite as soft as it used to be. How to sew square bag bottoms. Angry Chicken FAQ, including what machines she uses, even a serger. Sac a faire includes ten different bag patterns, at Swiss Miss. Among all the slightly pointless cozies out there I think this one for apples is the cutest. At Shelterrific. How to make a cake or cupcake stand, via Craft. Credit card sized magnetic flower box, via Craft. The care and feeding of your sewing machine, via Action Hero. Working with white fabric at Poise. Henry Road fabric remnants (!) at Ahn-minh. About knitting charts, via Craft. How to make a duct tape dress form, via Craft. How cool! Knitgrrl (Shannon Okey) has opened (with partners) a store called Stitch Cleveland! very close to where I grew up. I would have have loved having a shop like that nearby. Also, check out her live call in radio show for knitters called The Knitgrrl Show. Via Craft.